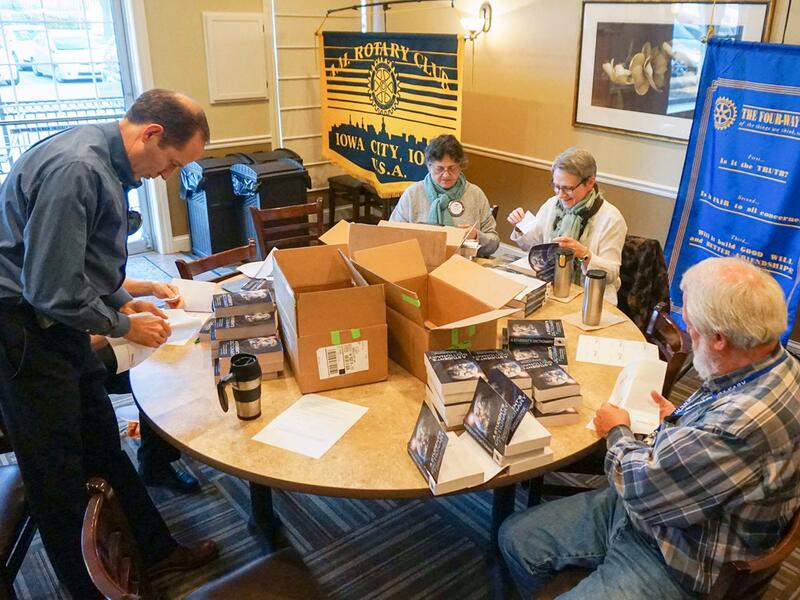 Rotary File for March 29, 2016 | Rotary Club of Iowa City A.M.
We welcomed District Governor, Loring Miller and Past DG Terry Geiger and also prepared dictionaries to distribute to fourth graders. 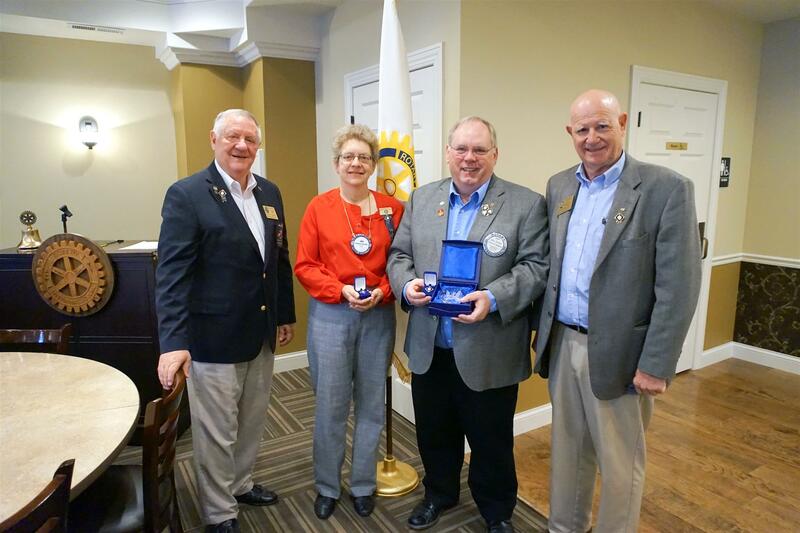 We were honored to have District Governor Loring Miller and Past DG Terry Geiger present on March 29 to assist in the presentation of a Major Donor Level Two award to Deb and John Ockenfels. Congratulations, and thank you for supporting Rotary Foundation in such a substantial way! After the award presentation club members engaged in a social time and put book plates into dictionaries to be taken by members to several ICCSD elementary schools to present to fourth graders. 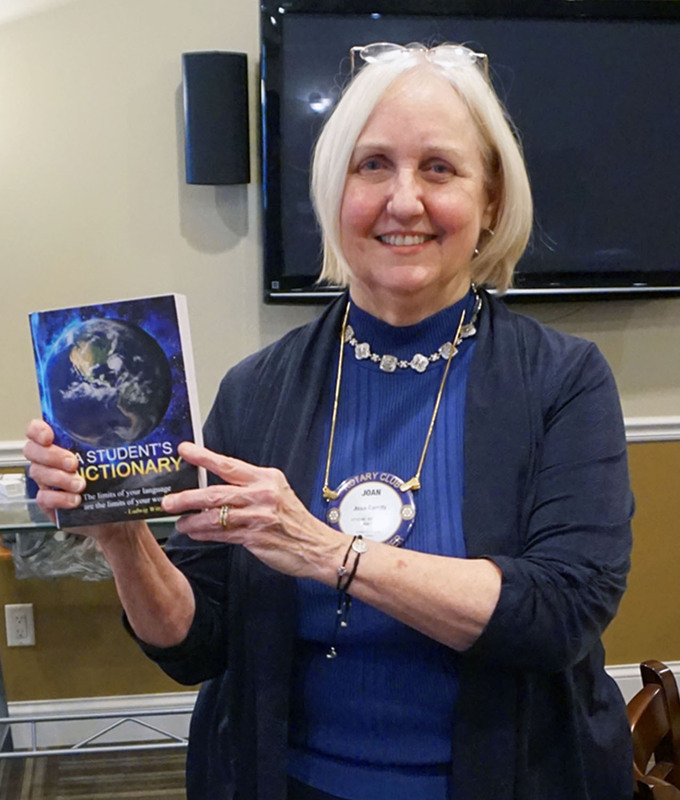 The Dictionary project is one that is coordinates among all the Rotary clubs in the area so that all of the schools can be covered by dividing up area schools among the four area clubs. Joan Garrity coordinates the project for our club.